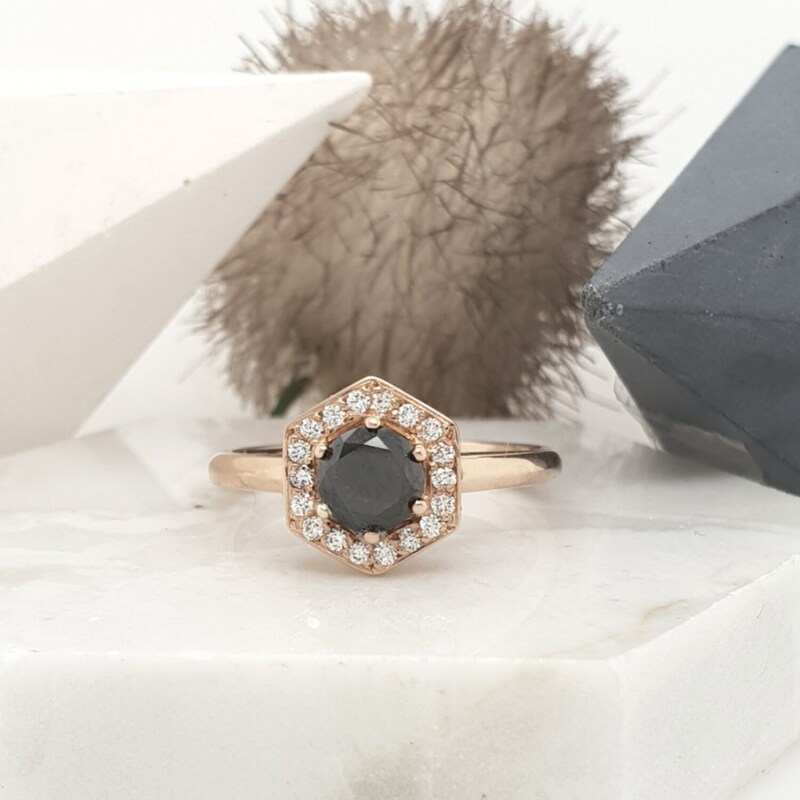 Stand out with Stella, an Art Deco inspired engagement ring with a black diamond center. 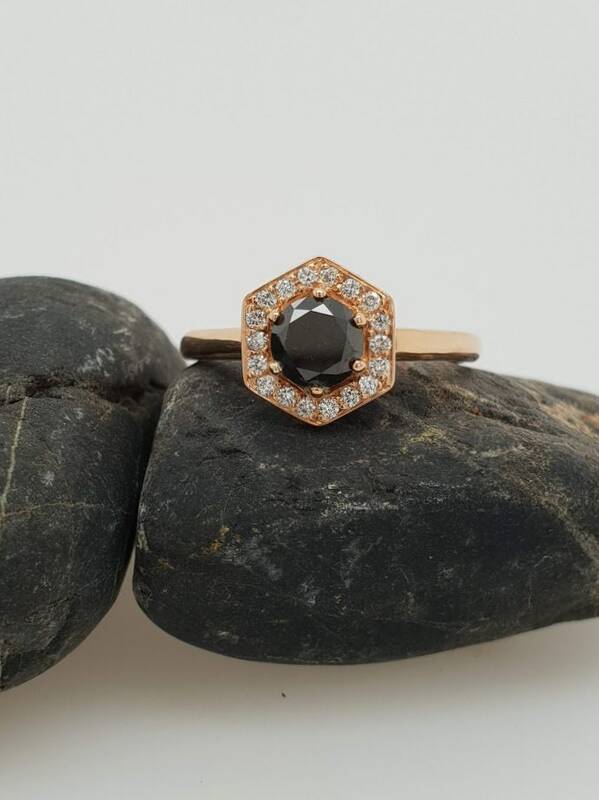 Stella is a one off hand made piece made from 18ct Rose Gold in a finger size L.
Set with a .61ct Black diamond center and 18 x 1.1 mm round white diamonds .09ct TDW in an F SI colour and clarity. 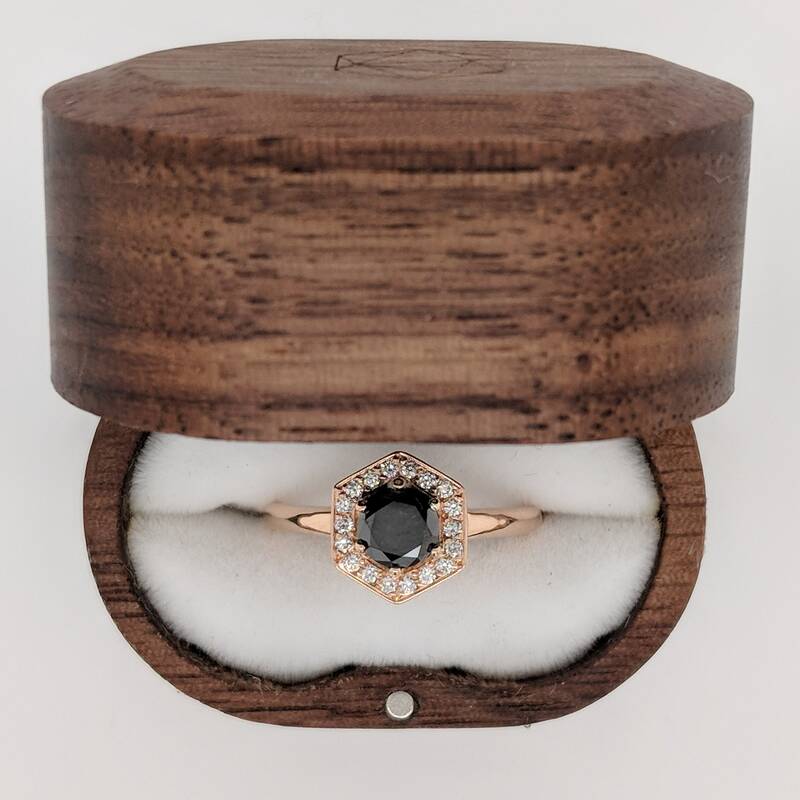 To find out more about diamond grading please visit the blog page Four C's. Stella will come presented in a beautiful timber box.